The term propaganda derives from the name given to a 17th-century Committee of Cardinals of the Roman Catholic Church, Congregatio de Propaganda de Fide, which was charged with directing ecclesiastical affairs in non-Catholic countries. The Oxford English Dictionary defines propaganda as the ‘systematic propagation of information or ideas to encourage or instil a particular attitude or response’. 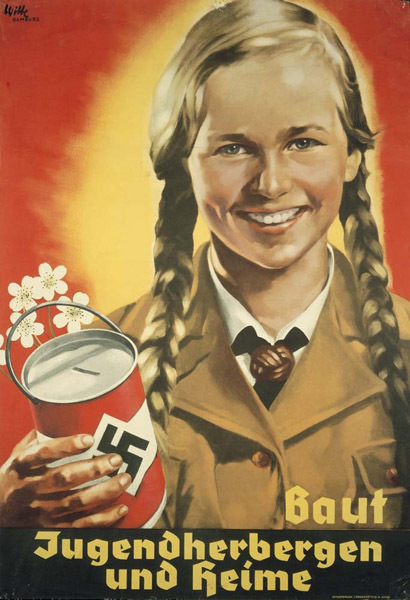 This remarkable selection of propaganda posters exemplifies the above definition. 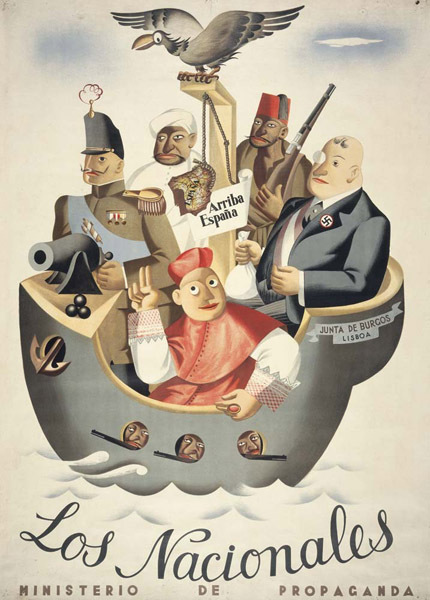 The posters were collected by the late Dr WB Sutch, a New Zealander whose work for the government in the 1930s took him to Europe as the events depicted in these posters were unfolding. The use of posters as propaganda tools had come of age during the First World War. Their aim was essentially two-fold: in Britain, to encourage male recruitment – a famous and frequently adapted example being Lord Kitchener’s ‘Your country needs you’ – and in all major participating countries to inspire home front support for the war. Posters were cheap to produce, easy to distribute, and could immediately respond to wartime events. They continued to be employed by governments of the 1930s and 1940s who believed in their effectiveness. Towards the Precipice presents Spanish, German, British and Soviet posters from the period 1935 to 1942. They represent the voice of Republican opposition to the right-wing Nationalist forces of General Franco in the Spanish Civil War of 1936-39. 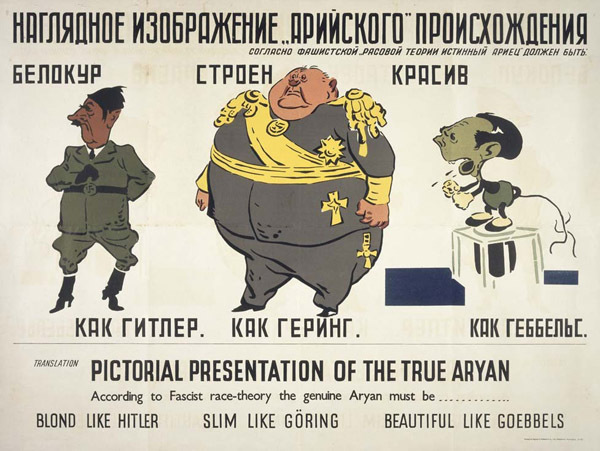 The Nazi regime used posters to win ordinary Germans over to their world view by showing them, and the world, the promised material advantages of belonging to Hitler’s Germany. 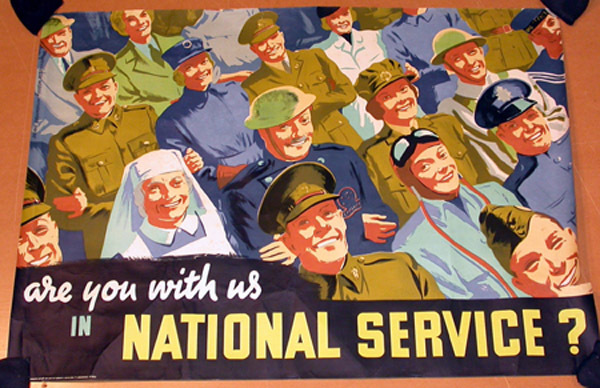 The British posters cover the early years of the Second World War and build upon the generally accepted idea that the war was both just and necessary to defend traditional British values. The Soviet posters were designed following Operation Barbarossa, the German invasion of the Soviet Union in 1941. They were later adapted by the British to reinforce the resulting Anglo-Soviet alliance against Hitler. These posters present their views in a way that is both overtly manipulative and stunningly simple when compared to the methods and media that are used to influence public opinion today. The exhibition title, Towards the Precipice, is taken from New Zealander Geoffrey Cox’s book Countdown to War: a personal memoir of Europe, 1938-1940. William Ball Sutch was born in England in 1907 and arrived in New Zealand with his family when eight months old. Both his parents were staunch Methodists, independent minded and widely read in the social fields. Sutch trained as a teacher and graduated MA and B.Com from Victoria University. A fellowship took him to Columbia University in 1932 where he undertook a Ph.D on the topic of ‘Price fixing in New Zealand’. He returned to New Zealand after travelling widely in North America and Europe, to a country in the depths of the depression. This experience was fundamental to his subsequent thinking on economics and social policy. Over the next 40 years he held a wide variety of influential government and diplomatic positions, including groundbreaking work with Unicef and other UN agencies. He published widely and maintained an active role in the cultural life of New Zealand, culminating in his appointment to the Chair of the Queen Elizabeth II Arts Council in 1973. Bill Sutch is also remembered for being tried and acquitted under the Official Secrets Act. William Sutch died in 1975.